Gift of Suzanne A. Rosenborg, 2002. Ms. single leaf (cutting) of an historiated initial S from a choirbook; written and illuminated in Venice, Italy, ca. 1420. 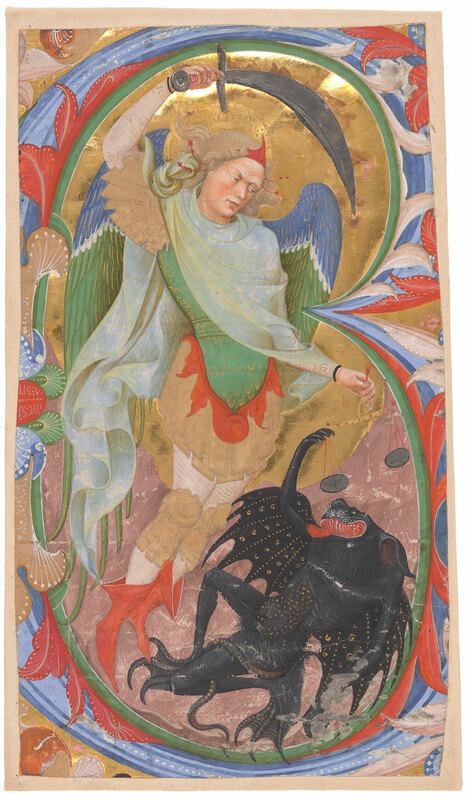 Decoration: 1 historiated initial S depicting St. Michael vanquishing the devil; Italian Renaissance style. Artist: Master of the Murano Gradual; previously attributed to Belbello da Pavia.